awww. so cute! too bad no one walls sketches like this.... faved. very nice pix. thanks for sharing. 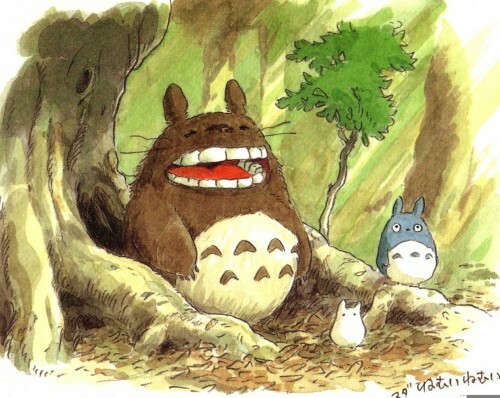 Ahahaha, I wish I had great teeth like Totoro.. I love the sketchy look of this image! Look at those chompers! So cute!